Harrogate's going to be on national TV - here's when to tune in! It's hard to believe that it's been a year since Harrogate's Christmas celebrations were showcased to national TV audiences. More than a million viewers tuned into Channel 5 to watch the two-part documentary series, Harrogate: A Great Yorkshire Christmas, and this week, it's set to be broadcast again. For residents who may have missed it the first time around, the documentaries focus on Harrogate's Christmas shop window competition and Christmas lights switch-on - and there are plenty of familiar faces to look out for on camera! 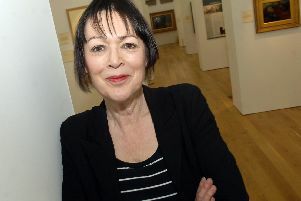 After the series aired, the owner of the shop, Georgina Collins, said the shop and the town as a whole had seen a deluge of visitors. She said: "They haven't just been coming to our shop but to all the other ones on TV. We've had visitors from across the North and the Midlands and even one family from Switzerland saying they saw Harrogate on Channel 5. "We've had such a deluge of people. it's been fabulous. The TV show must have been good for hotels in Harrogate, too. "We've also been pointing visitors to cafes and restaurants to go during their stay in town." Harrogate: A Great Yorkshire Christmas will be aired on Channel 5 again on Saturday, December 8 - the first part of the series from 8.10pm to 9.10pm, and the second part from 9.10pm to 10.10pm.